BETWEEN Apple’s latest release being largely underwhelming and Samsung’s exploding battery saga, both companies will be looking to do big things with their upcoming flagship devices. iPhone 8’s hefty price tag would come from the device’s organic light-emitting diode (OLED) display, which would allow the iPhone to have the same curved screen seen on Samsung’s Galaxy S7 Edge. In terms of size, the premium phone will likely have a 5.8-inch display, which will be slightly bigger than the 5.5-inch display iPhone 7 Plus and the 4.7-inch iPhone 7. 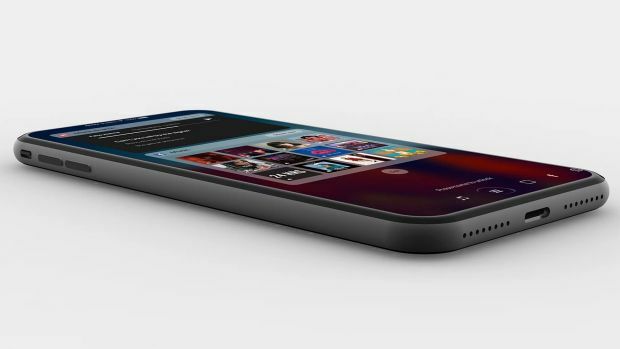 DisplayMate Technologies president Raymond Soneira said he believes the display of the iPhone 8 will take up the entire screen, with “virtual buttons” taking up a portion of that space. Samsung has currently been promoting its 8-point battery check for its upcoming smartphones, with the company putting an emphasis on a commitment to safer devices. In an attempt to bounce back from the exploding battery drama that caused a global recall of the Galaxy Note 7, Samsung is tipped to be introducing some big changes to its flagship. According to Venture Beat , the Galaxy S8 will ship in larger sizes than its predecessors, with 5.8-inch and 6.2-inch displays instead of the 5.1-inch and 5.5-inch S7 screens. In addition to increasing the display size, Samsung is believed to be including the curved display on all of its devices — not just on the pricier lager model. The Galaxy S8 will be powered by Android Nougat and will include new energy efficient processors capable of boosting overall performance by 11 per cent. Energy efficiency will be needed as the Galaxy S8 will only have 3000mAh and 3500mAh batteries for the 5.8-inch and 6.2-inch designs, respectively. With internal storage, Samsung is tipped to be offering 64GB as the new baseline, which can be expanded to 256GB via a microSD.